With the rapid rise of web application attacks, which is now the number one source of data breaches, securing web applications is a challenge. 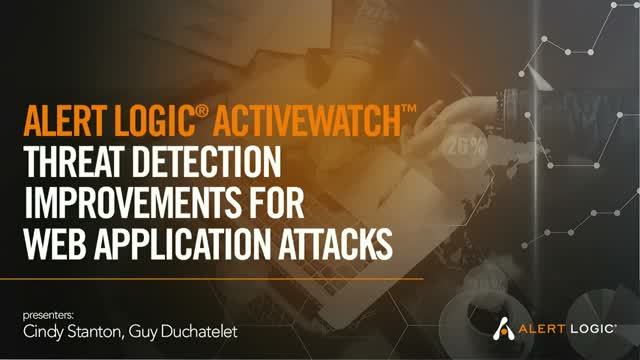 Alert Logic has done several key investments across our portfolio over the past few quarters that have improved our ability to detect these types of attacks with high confidence to help you address this challenge. - Which of these capabilities you are entitled to, and how you can get access to them.